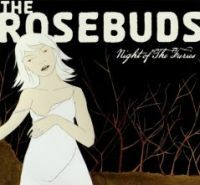 While The Rosebuds 2005 album Birds Make Good Neighbors received near unanimous critical accolades across the board, I have a sneaking suspicion 2007 might be real Rosebuds coming out party, judging by the buzz surrounding their performances at SXSW. Gearing up in support of their upcoming (third) album, Night of The Furies, The Rosebuds continue to hold the title as my favorite band to emerge from NC in the last few years. With a release date of April 10th, Night of The Furies expands on the band’s existing sound while pushing the (dancey) envelope a tiny bit further. Their live show exemplifies this. Look for a proper review as the release date gets closer, and in the meantime check out the album’s first single “Get Up, Get Out,” and “Leaves Do Fall” off 2005’s Birds Make Good Neighbors. I have an information on the http://freewebtown.com/tnrhfxec/henry-ford-manufactureing.html is well!